The Canterbury Branch began with Craig Stewart and Simon White in 1999 and had two members until 2001 when an advertisement was put in the Christchurch Press for any Wellington supporters to join. Five people replied, which was encouraging being on Crusaders' and the one eyed Cantabrians' turf. We joined the Wellington Rugby Supporters Club Inc the same year as the Canterbury Branch and our membership jumped to over 30 within 6 months. We follow the Wellington Lions along with the Hurricanes and meet every week to watch the games at our clubrooms at Robbie's Riccarton. The first Sunday of the month is club day where we meet to discuss the finer points of Rugby along with B-B-Cues etc. The club entertains visiting Wellington teams playing in Canterbury and attends their games to give vocal support. We have entertained the Wellington Colts in 2002 and 2003. Wellington Maori and Wellington Women played games in Canterbury and benefited with the vocal support our club members gave. We are endeavouring to make our clubrooms a haven for Wellington teams and their supporters to feel at home whilst in Canterbury. Craig and daughter Amber featured in the local press before the 2006 Super 14 final. Here are some photos of branch activities. 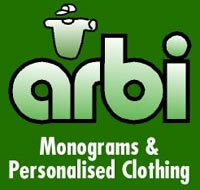 Arbi Monograms: proud to support the Canterbury Branch of the Wellington Rugby Supporters Club. Dux Industries Christchurch are proud to be official sponsors of the Wellington Rugby Supporters Club Canterbury Branch. LG are proud to support the Canterbury Branch of the Wellington Rugby Supporters Club. Our clubrooms at Robbie's Riccarton.